Home » MACSI wins a Knowledge Transfer Ireland Research Impact Award for a Second Year in a Row! 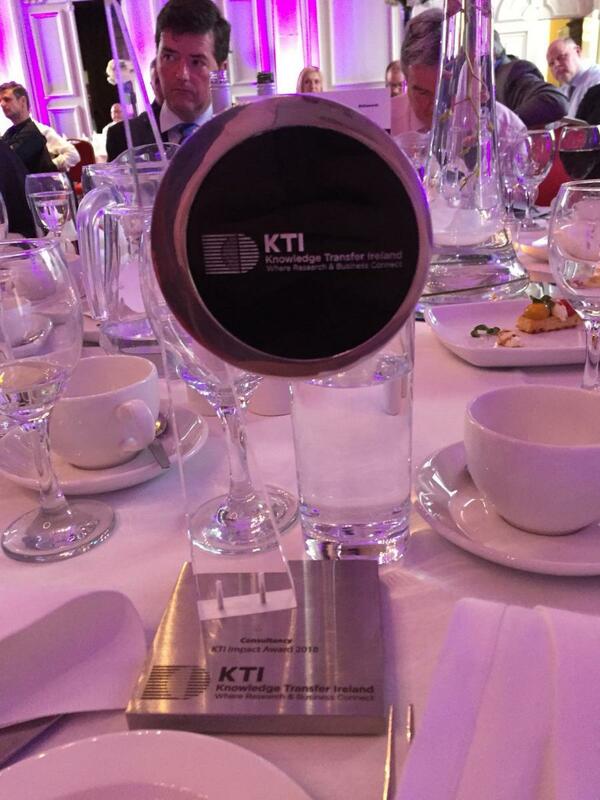 MACSI wins a Knowledge Transfer Ireland Research Impact Award for a Second Year in a Row! 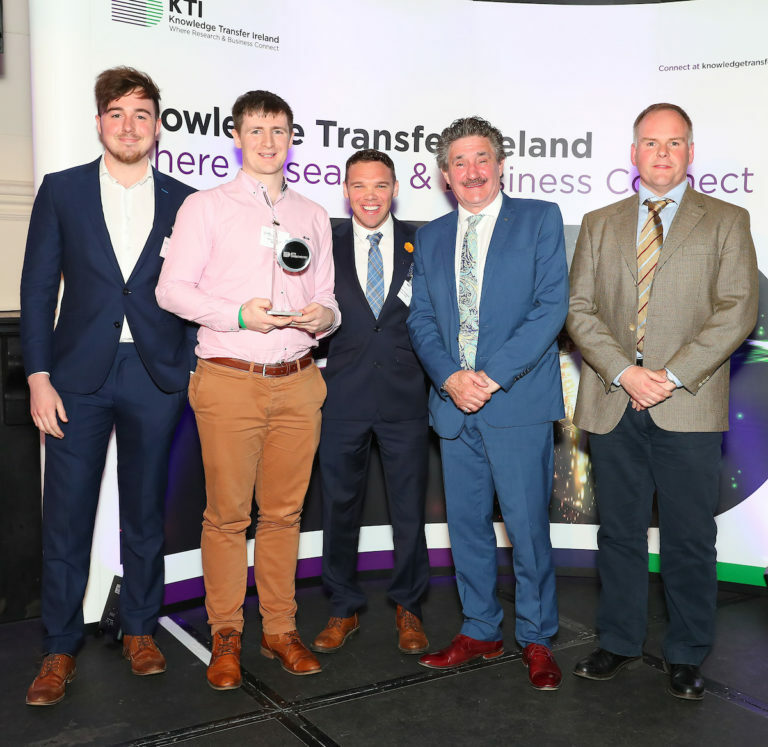 A Project led by MACSI PhD Student Kevin Brosnan with Drs David O'Sullivan and Kevin Burke was awarded the 2018 Knowledge Transfer Ireland Research Consultancy Impact Award. 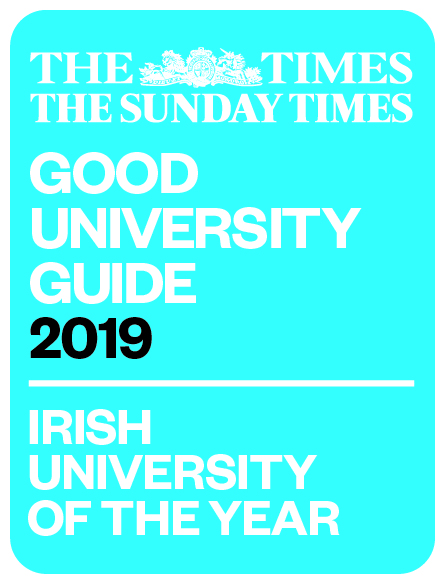 The judges found that Consultancy Impact Award winners, ‘University of Limerick and Xtract 360 Ltd’ were a compelling case for how a company can achieve value through accessing short term advice and expertise from a research partner. As a result the company has been able to develop its marketing activities and deliver a leading edge product. Undetected fraudulent claims and lengthy processing times are in part the cause of rapidly deteriorating profitability in the global motor insurance market. It is estimated that fraudulent claims add approximately €50 to each premium in Ireland every year. Xtract360 is an Irish based start-up that have developed a claims tool that aggregates and visualises crash data for the auto-insurance industry. Xtract360’s exciting new software application reconstructs a car crash in real time using data collected from any connected device such as telematics, on-board diagnostics, dash camera, smartphone etc. Xtract360 recently worked with the Mathematics Applications Consortium for Science and Industry, MACSI, the industrial maths group in the Department of Mathematics and Statistics at University of Limerick to develop mathematical and statistical modelling techniques for car crash reconstruction. The maths and statistics model developed by MACSI detects impacts or crashes using GPS and accelerometer data recorded before and during a car accident and identifies the time and force of a crash, where on the vehicle has been damaged and provides an estimation of the trajectory taken by the vehicle. Project lead, Irish Research Council Government of Ireland Scholar, Kevin Brosnan, said that the model developed by MACSI “not only accurately identified the impact severity, zone of impact and location of impact, but also identified driver behaviour such harsh braking, acceleration, and cornering by comparing the force on each accelerometer to industry standards”. The model developed by MACSI, enables a real-time reconstruction that facilitates the visualisations of incidents and provides other useful details to claims investigators, helping claims handlers make faster, more informed decisions. Since finishing the project in January 2018 Xtract360 has successfully raised seed-funding round and is now looking to scale out business development across Europe and the US, armed with a robust, production ready model for the motor claims industry. This project won the Knowledge Transfer Ireland (KTI) Impact Award 2018. The KTI Impact Awards recognise and highlights the success in knowledge transfer carried out in Irish Higher Education Institutions and publicly funded research organisations for the wider benefit of the economy and society at large. This is the second year in a row that a MACSI industry project has been awarded the honour, in 2017 a MACSI project in collaboration with Rusal Aughinish Alumina.